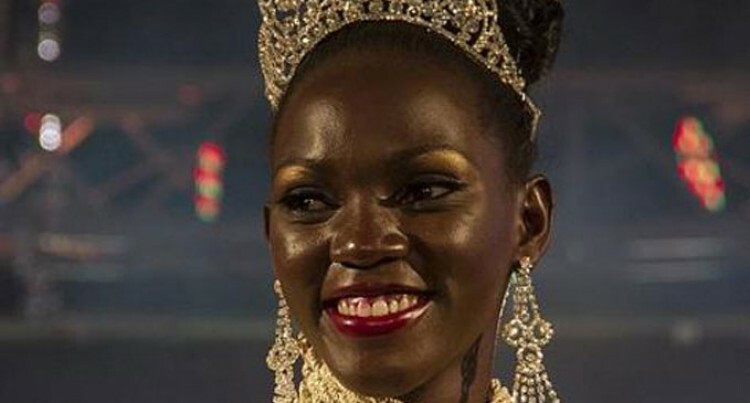 A former mushroom and poultry farmer has been crowned Miss Uganda following a major re-branding of the annual beauty pageant, now designed to promote agriculture in the east African nation. “The youth will love agriculture because it goes hand in hand with beauty. “Right now, farming is mostly done by elderly women,” Kalanguka, wearing a gold dress, tiara and a sash, told AFP during late Saturday’s awards ceremony. After years of following the more traditional beauty pageant formula, organisers applied the theme of ‘promoting agriculture entrepreneurship among the youth’ to the event and partnered with the Ugandan army — which has major business interests in agriculture. “It’s a great direction because the agriculture sector has great opportunity for jobs, so I’m simply grateful that it took that direction and I would really love to see it promoted in our country because it is the backbone,” Kalanguka commented. One contestant, Sheila, was asked “what opportunity can family farming represent for the youth?” She replied promptly: “If you’re a youth or a young child and you notice that your family is carrying out agriculture it would motivate you to go on carrying on the sam- Co-host Roger Mugisha, a Ugandan radio presenter, told the audience that Miss Uganda “has to represent Ugandan values”.